Conservation Status (International): Critically Endangered A2cde ver 3.1. Formerly, Persian Sturgeon was considered a subspecies of A. gueldenstaedtii (A. g. persicus). Since 1973 (Lukyanenko & Korotaeva), based on immunological, biological and reproduction studies and morphological differences, its taxonomic status elevated to species. In 2008, the combined results of the morphological and molecular genetic analyses of Russian Sturgeon Acipenser gueldenstaedtii (sensu Berg 1934) did not support taxonomic validity of Persian Sturgeon (Ruban, Kholodova, et al., 2008). According to the IUCN Red List - this species is known from the Caspian basin and not recorded in Georgia, but however included in the Georgian Red List. Georgian scientists suggest that this species occurs in the southern part of the Black Sea. Illegal fishing/poaching is the principle threat. 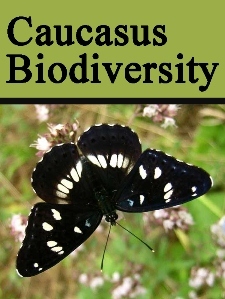 Conservation Status (national): Georgian Red List (2006): Endangered, national conservation status repeats worldwide status, according to IUCN by 2006. Specific relevant information: The combined results of the morphological and molecular genetic analyses of Russian Sturgeon Acipenser gueldenstaedtii (sensu Berg 1934) do not support the validity of the Persian Sturgeon as a separate species Acipenser persicus. Ruban, G.I., Kholodova, M.V., Kalmykov, V.A. and Sorokin, P.A. 2008. Morphological and molecular genetic study of the Persian Sturgeon Acipenser persicus Borodin (Acipenseridae) taxonomic status. Journal of Ichthyology 48: 891-903. Preliminary suggestion: Clear up finally taxonomic status before planning any actions. კონსერვაციული სტატუსი (საერთაშორისო)-სპარსული ზუთხი - Acipenser persicus - Critically Endangered A2cde ver 3.1. ადრე ეს სახეობა ითვლებოდა A. gueldenstaedtii - ს ქვესახეობად (A. g. persicus). 1973 წლიდან (Lukyanenko & Korotaeva), იმუნოლოგიური, ბიოლოგიური, მორფოლოგიური და რეპროდუქციული კვლევის საფუძველზე, მისი ტაქსონომიური სტატუსი სახეობამდე გაიზარდა. 2008 წელს, Acipenser gueldenstaedtii (sensu Berg 1934) მოლეკულურ-გენეტიკურმა კვლევამ არ დაადასტურა ამ ფორმის ცალკე სახეობრივი სტატუსი (Ruban, Kholodova, et al., 2008). IUCN წითელი ნუსხის მიხედვით, ეს სახეობა (ფორმა) კასპიის ზღვის აუზიდანაა ცნობილი და საქართველოსთვის არაა აღნიშნული, თუმცა საქართველოს წიტელ ნუსხაში მაინცაა შეტანილი. ქართველი მეცნიერები მიიჩნევენ რომ ეს სახეობა შავი ზღვის სამხრეთ ნაწილშიც გვხვდება. რეკომენდაცია. ტაქსონომიური სტატუსის საბოლოო გარკვევამდე ნებისმიერი ღონისძიების დაგეგმვა არაა მიზანშეწონილი.